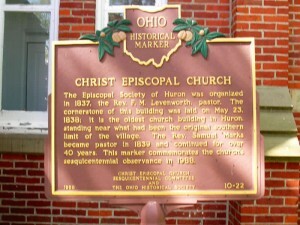 The Episcopal Society of Huron was organized in 1837, the Rev. F. M. Levenworth, pastor. The cornerstone of this building was laid May 23, 1838; it is the oldest church building in Huron, standing near what had been the original southern limit of the village. The Rev. Samuel Marks became pastor in 1839 and continued for over 40 years. 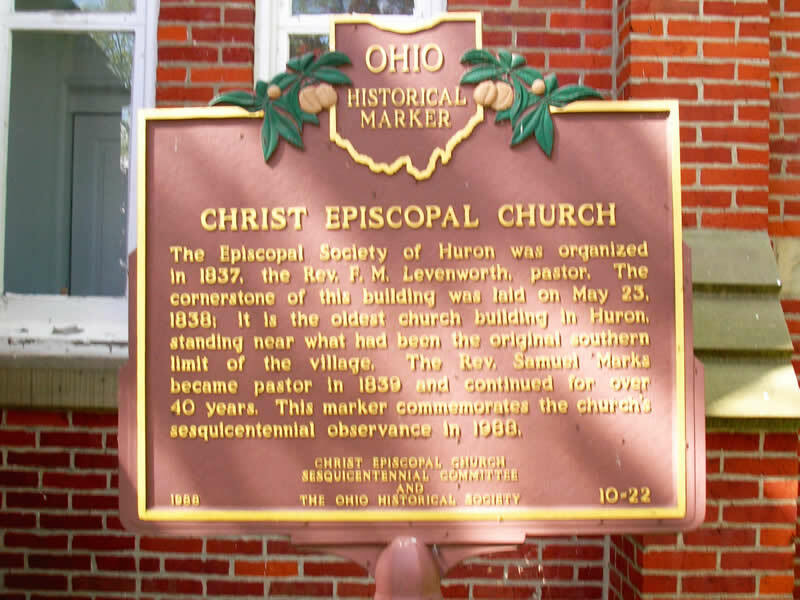 This marker commemorates the church’s sesquicentennial observance in 1988.